In 2015–16, banana production was valued at $364 million. 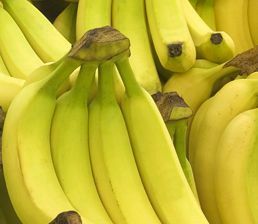 There are currently about 13,000 hectares of bananas grown in Australia, 94 per cent of which are located in north Queensland around Tully, Innisfail and the Kennedy areas and also from Ingham to Hopevale and the Atherton Tablelands. Bananas are grown all year round with the two main varieties being Cavendish and Lady Finger. The Cavendish variety accounts for 95 per cent of production. The vast majority of the Australian banana crop is supplied to the domestic market while a small number of growers are creating export markets to Asia. Banana bunchy top virus in northern NSW and south east Queensland. The National Banana Freckle Eradication Program (carried out under the Emergency Plant Pest Response Deed) is expected to achieve successful eradication of banana freckle from the NT in 2018. Australia will then prepare a submission declaring national proof of freedom. Interstate movement and access restrictions remain in place. Panama disease tropical race 4 was first detected on a north Queensland property in March 2015. While significant effort was directed to contain the disease, by the end of 2017 it had been confirmed on two properties. The first infected farm was purchased by the Australian Banana Growers’ Council (ABGC) in October 2016 using an industry levy as well as contributions from the Australian governments. After purchase, all banana plants (hosts) were destroyed and the farm ceased all operations. The farm with the second detection continues to produce and pack fruit under strict biosecurity conditions but well away from the destroyed infection sites. 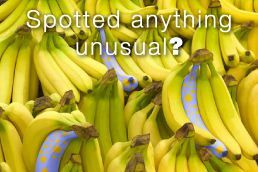 Biosecurity Queensland continues to conduct surveillance on all commercial banana farms in north Queensland. A control program for banana bunchy top virus has been operating in NSW since 2009. The aim is to contain the virus to a limited area and eradicate it from all commercial banana plantations. An officer is employed by the ABGC to undertake inspections for the presence of yellow sigatoka in the north Queensland commercial production area. Yellow sigatoka is an endemic leaf disease that spreads easily if not controlled and reduces the production of fruit. The ABGC also employs two staff members who have a combined responsibility for biosecurity related research and development as well as strategy development and implementation. The banana industry is covered by version 2.0 of the banana industry biosecurity plan and the Farm Biosecurity Manual for the Banana Industry Version 1.0. Biosecurity planning provides a mechanism for the banana industry, government and other relevant stakeholders to assess current biosecurity practices and future biosecurity needs. Planning identifies procedures that can be put in place to reduce the chance of pests reaching our borders or minimise the impact if a pest incursion occurs. The Farm Biosecurity Manual for the Banana Industry manual contains information to help producers to implement biosecurity on-farm. Manuals usually contain an overview of biosecurity, fact sheets to identify the high priority pests of a crop, tips on crop management, and how to manage people, vehicles and equipment to minimise biosecurity risks. Manuals also contain a biosecurity self-assessment list, and templates to record pest surveillance records and visitors. Promotional item to support the exotic plant pest hotline 1800 084 881. For printed copies of this material, please contact PHA. The following is a list of high priority exotic pests of bananas. These pests were identified during the development of the Industry Biosecurity Plan for the Banana Industry in consultation with industry, government and scientists. They have been assessed as high priority pests based on their potential to enter, establish, and spread in Australia (eg environmental factors, host range, vectors) and the cost to industry of control measures. The following is a list of documents for other exotic and endemic pests of the banana industry. Please note that this is not a complete list of pests: rather it includes pests for which documents exist in the Pest Information Document Database. Some of the documents presented here are not tailored to the banana industry and are included for information only.